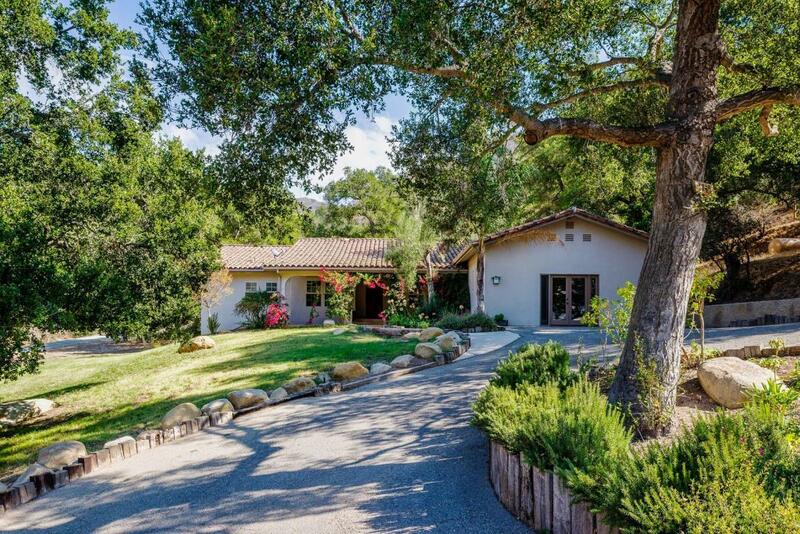 Cielo de Caballo~ Nicely secluded ranch on 7.59 oak-studded acres a mere 5 minutes from State Street. This equestrian ready retreat features a wonderful 4BD/2.5BA home in the Mountain View & La Colina attendance areas. This open plan home features a serene & private setting which includes a 3 stall horse facility that’s proximate to endless riding trails, vaulted ceilings, a great room, pool & spa. The abundant patios and the various verdant outdoor entertaining areas conjure a plethora of possibilities. This property offers the perfect setting for those seeking a secluded sanctuary but still want to be conveniently located to all SB & Goleta have to offer! Up a private drive, well above Fellowship Rd, nestled in a peaceful environment, sits this 2-story Mesa home. This hillside setting features ocean, island & canyon views from various balconies & decks. 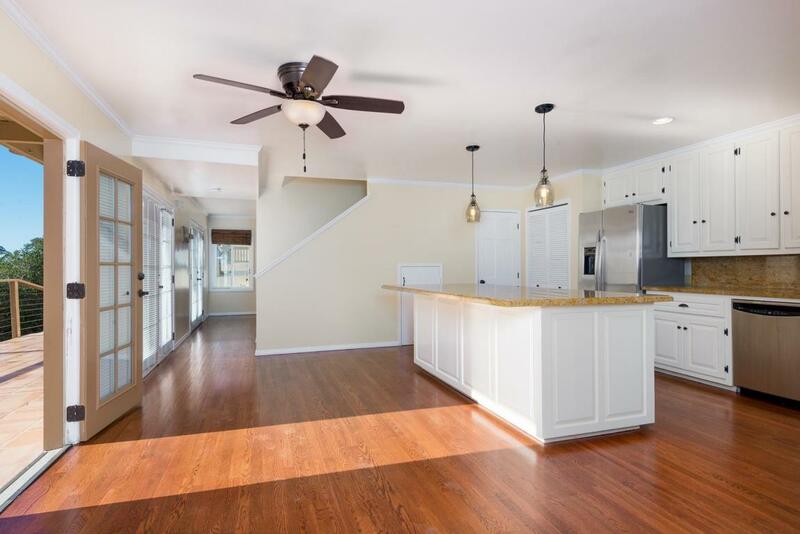 A freshly painted interior, refinished downstairs wood floors accompany the updated kitchen and baths. Top it off with a drought tolerant landscape and you’re set to enjoy all the Mesa has to offer! Our goal is to be informative and helpful. 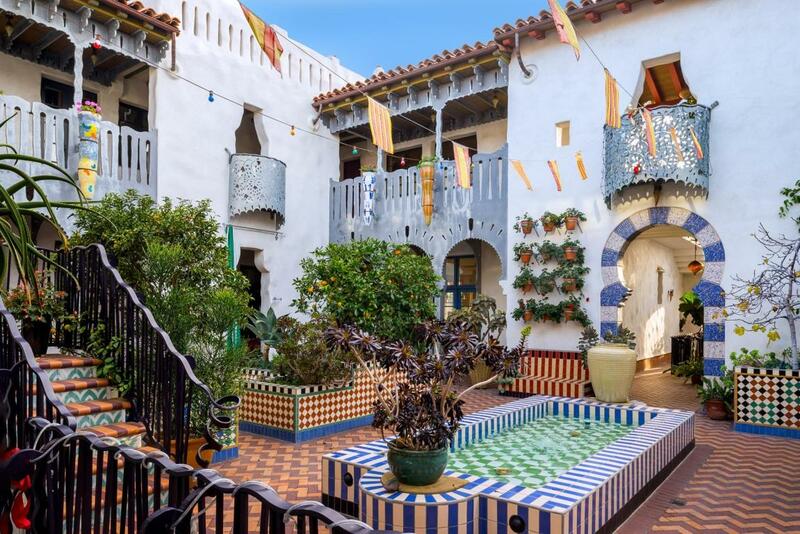 Through our service we hope to earn your business with our exemplary level of service and extensive local knowledge of the Santa Barbara area.